Do you struggle to attract a lot of new guitar students? Do your guitar teaching ads and website not seem to really work like you want them to? Are you sick of constantly having to put effort into promotion and aren’t getting enough students from it? Does it seem impossible to fill up your teaching schedule (and keep it filled)? If you are like most guitar teachers, you probably really struggle to market yourself (and your guitar lessons) effectively. There are a lot of reasons why it is that way, but there are two main problems that apply to almost all guitar teachers who struggle in this area. First, most teachers lack the necessary marketing knowledge to write really good ads, create websites that work or use innovative methods to attract a lot of new students. Second, they have a deep misunderstanding about how the process of attracting new students works. What makes things even worse is that this misunderstanding causes even those very few teachers who DO know how to write a good ad or build a decent website to fail. They too don’t get as many students as they could be getting and therefore struggle. I’m going to show you in this article why this misunderstanding has such damaging consequences and how you can easily solve the problem, start to attract a LOT of new students and finally fill up your teaching schedule. Most guitar teaching promotional tools are built and used in isolation. What does this mean? Ads, websites or other promotional tools alone aren’t strong enough to bring you a LOT of new students on a consistent basis, because they are only single pieces of a big puzzle. The huge mistake most guitar teachers make is to think that the ad or website will ‘do everything’ for them. In order to make your promotional efforts work effectively, you need to have (and ‘complete’ the missing pieces of) a whole strategy of attracting new students. The answer is simple: teacher 1 is using a ‘strategy’. used the same ‘good’ ad that the first teacher used… BUT he never understood how all the pieces of the marketing puzzle should fit together to not only attract a lot of new students, but finally to build a successful guitar teaching business. So without a real strategy, his ‘good ad’ produced ‘poor results’. What is very likely to happen after the ad produced disappointing results for teacher 2 is that he falsely believes that the ad he used was not a ‘good ad’ (since it brought him poor results). This is a very common mistake guitar teachers make. They then either change the ad (often making it worse), they start to look for different places to display the ad, or they stop using the ad and give up. Too often people throw away the ‘good pieces’ of a strategy without realizing that something else was really to blame and needed to change in order to get the results they were hoping for. …Or, and this is another very common mistake, they start to copy another teacher’s ad or website (because they still think their original ad or website was the problem). They are looking at what other teachers do. So teacher A is struggling and he may look at teacher B's website and think, ‘Oh I'll copy what this teacher is doing and I'll have good results too.’ But that rarely works well, because the part that they are copying may not be the piece that teacher A needs to change. This whole idea is exactly the same as what separates great teachers from mediocre teachers. A mediocre teacher sometimes teaches students some good stuff or interesting things that the student wants to learn, but those students may not turn out to be good guitar players, reach their goals or their true potential. Teacher B, the great teacher, isn't thinking about ‘I'll teach the student that little piece or I'll teach him this little piece’, instead there is a whole plan, system or strategy to take a student from where they are to where they ultimately want to go. So it doesn't really matter if we are talking about teaching people skills or talk about guitar teaching business and the process of attracting new students ... the philosophy is always the same. You need to have a really good strategy. In order to create an effective strategy to attract new students, you need to understand how the process of attracting students really works. You need to think about what happens when a prospective student sees your ad, video or website and what happens after. Think about the flow of things and how the whole process works (from the perspective of the student, not from a teacher’s perspective). As I mentioned before, prospective students don’t simply see an ad (or website) and then instantly become your new students in the next second. There is much more happening in between. It’s a step-by-step process. When the pieces of this process are not working together in a congruent way, then people don’t go all the way through to the finish line. That means they will never become your student. You will then get much more personalized and detailed advice on your unique situation and challenges. 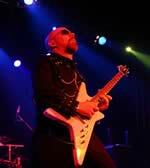 Tom Hess is a touring musician, composer and the guitar player for the metal band Rhapsody Of Fire. 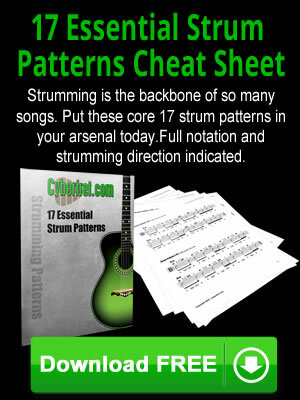 He also teaches guitar players from around the world via online correspondence guitar lessons. Visit TomHess.net were you can find free video guitar lessons, free guitar playing resources and more guitar articles. Need Help Starting A Successful Career In Music? Can YOU Really Become a Great Guitar Player? Why aren't you a better guitarist? Perseverance - It Will Make You Or Break You! Practicing Guitar: Self Discipline or Fun? Do you really need a teacher? Getting No Results From Taking Guitar Lessons?